We are still working on the build, but it’s near completion. 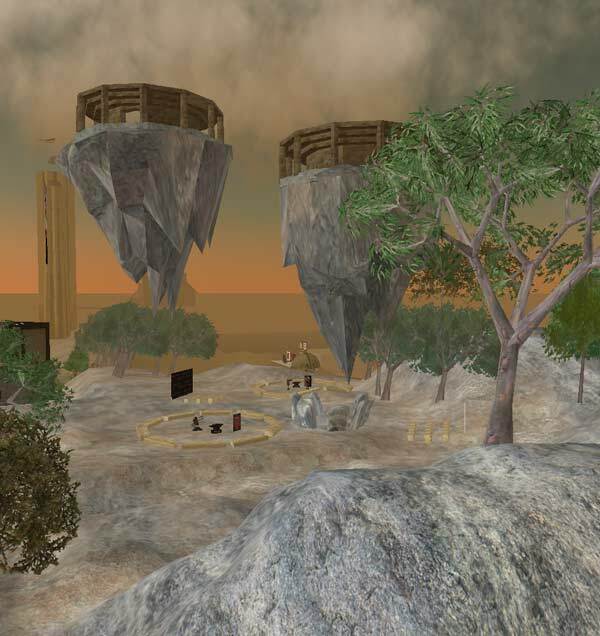 The aerial arenas are accessed by teleporters in the standing stones (the entry location). Ned and Alonso are set up and working 24/7 to train or provide fun for anyone. The movie is set up, and I made the file smaller as Doc said it was not streaming reliably for him. If you’ve had trouble with it in the past check it out now. 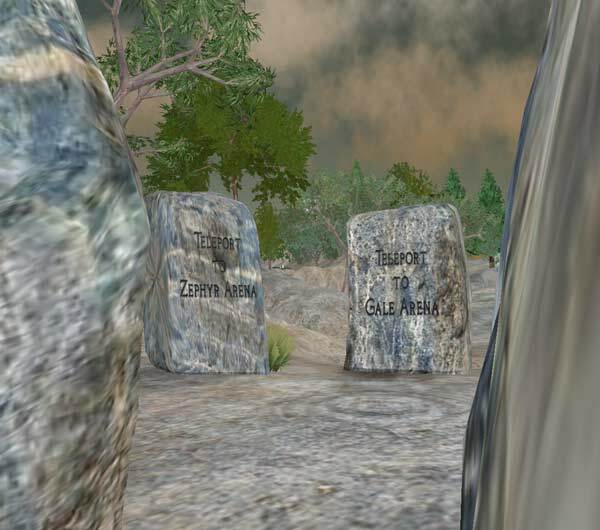 See you at 2 pm – bring a sharp sword and your most feisty avatar! A good turnout of really nice people, and the help of neighbor Delpha Deckard* made this a fun event! *Delpha let us use his adjoining parcel so we could rez a second anvil, then sat and watched the slaughter!